I read fiction because it’s an escape, and we all want to escape a little bit. When were you first diagnosed with Parkinson’s? I’m 68 years old and I was diagnosed with Parkinson’s about 10 years ago. When I retired, I tried to find a definitive answer to a problem I was having. I had weakness in my right arm and right leg, I was slurring my speech and I couldn’t write very well. I asked for an appointment at the hospital. Of course, there is no simple blood test for Parkinson’s. I had to have a physical exam and I was diagnosed with the condition. I came home, spoke to my wife, and we cried together. We did a lot of research to find out everything we could about Parkinson’s and I called my local support group in Hagerstown and asked to join. I wanted to speak to other people in a similar situation. My wife and I started going to the meetings, we became involved and now I’m the co-facilitator of the group. 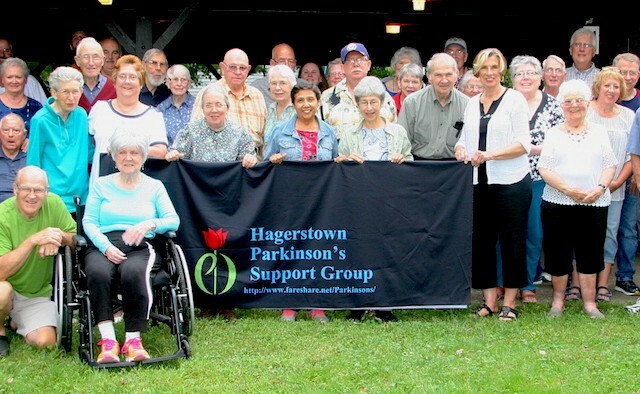 What does The Hagerstown Parkinson’s Support Group do? We have meetings the first Thursday of every month and we attract some of the best speakers on the subject in the area. We have around 50 to 60 people attend, half of whom have Parkinson’s and half of whom are carers. It’s a great organisation. You’re also the local ambassador for the Maryland Association for Parkinson Support. How did you get involved in that? 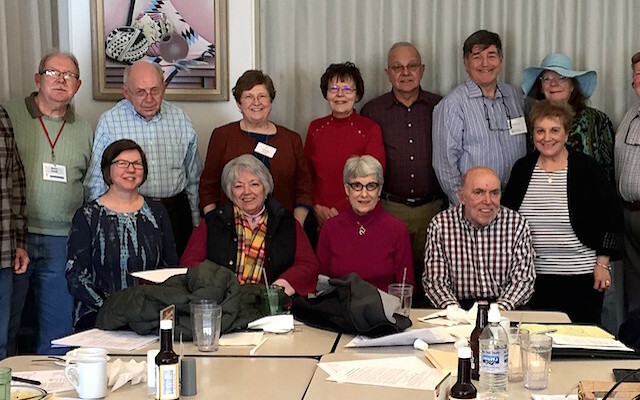 The Maryland Association for Parkinson Support decided to recruit ambassadors to talk to people in the community about the condition. I was selected for my area. We talk to homeowners’ associations, church groups, neighbours – whoever we can reach out ­to. As we know, Parkinson’s can cause mobility issues ­– so a lot of people can’t come to the meetings or do clinical trials – and sometimes they just need to talk to somebody. I’ve been doing it for a long time – I mainly do limericks. We Parkinson’s folks have trouble sleeping, so sometimes I wake up in the middle night and – just to keep the mind active – I’ll put together some rhymes and limericks. One night I got to thinking about how we read so much and hear so much about the progress made in Parkinson’s, but we don’t actually see anything being done. We know it’s happening behind the scenes, we know that as we speak there are great people working on it – but it’s still frustrating. That inspired me to write ‘The Parkinson’s Blues’. You can see the satire in there – it’s meant to be a bit tongue in cheek. Are there any particular poets that you love or look to for inspiration? One of my favourite poets is Robert Frost, and I love the Scottish author Alexander McCall Smith. I’m an avid reader – my wife is a TV watcher but I’m a reader because I think it keeps the mind more active. I only read fiction because it’s an escape, and we all want to escape a little bit. Would you advise other people with Parkinson’s to take up writing or another creative outlet? Yes, I really think people should keep the mind active. Reading is so important. TV can be a challenging thing to do but there’s nothing like reading a good book. I also enjoy doing The New York Times crossword puzzle – although it takes me about a week to complete it. Sometimes it can be difficult for people with Parkinson’s to even pick up a pen, or use a keyboard – but keeping the mind active is extremely important. We’re running against a clock – we need to squeeze out as many good days as we can. Have you written any other poems about Parkinson’s? I wrote one sometime back called ‘I’m Where I Need to Be’. It’s about our support group and the people who show up every month, sitting in “the same old places”. It’s an important part of their social lives. They just wouldn’t miss a meeting, and that’s why support groups are so important. It’s a real work of love. Dean (far left) with members of The Hagerstown Parkinson’s Support Group. Of hearing the “progress” made with this disease. A “new and improved” treatment is in place. Before my legs regain their natural grace. They’ve found a way to bring my memory back. Some strands of cells had simply come untied. And placed a tiny cross where some had died. That drooling while I sleep is in the past. My likelihood of falling is now gone. From this day on, I’ll start to move real fast. My letters will look written and not drawn. Will no longer be an issue anyhow. They were simply doing sit-ups in my head. It seems they’re making progress every day. There’s going to be a party at the end. For more information on creative therapies and Parkinson’s please visit the EPDA website.